Emory Lester is one of the élite mandolinists of our time. His musical creativity and skill as multi-instrumentalist have led him to produce his latest "At Dusk", a solo recording, in which his unmatched mandolin playing is powerful and infectious. Undoubtedly, he inspires many of this day's acoustic mandolinists as his sound is clear, and his mandolin techniques are fast, clean and efficient. Currently residing in Ontario Canada, but born and raised in Virginia, Emory has been teaching master series workshops at many important and prestigious schools and events, far and wide. He has also collaborated on many recording projects with many prominent artists. Emory performs with his own band, the Emory Lester Set, at concerts and festivals nationally. At the moment he is performing with ‘Wayne Taylor and Appaloosa’, doing shows across the U.S., Canada, and internationally, with a new recording climbing the bluegrass charts, and enjoying much success and national exposure for Emory’s talent as an instrumentalist and a vocalist. His fourteen year partnership with the well-known ‘Clawgrass’ banjoist Mark Johnson has yielded three recording projects, the latest of which is the new ‘Acoustic Vision’. 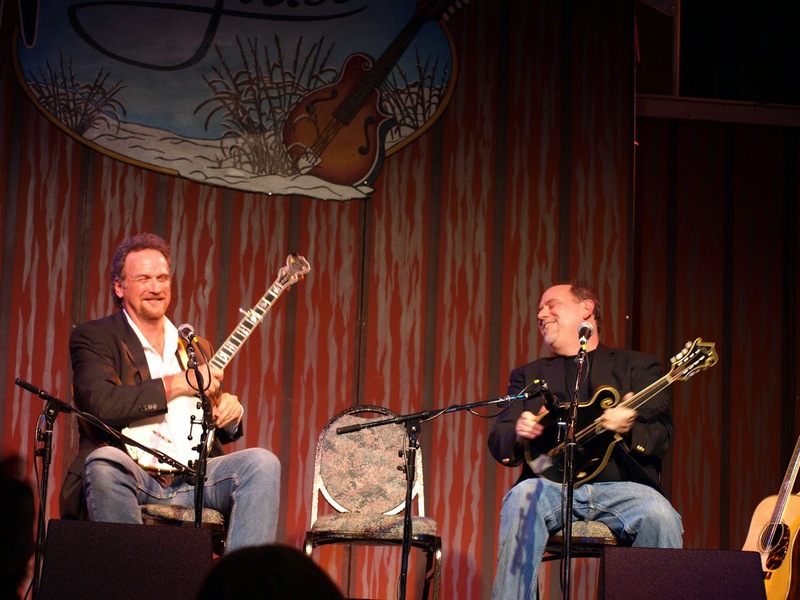 Mark and Emory have toured all across the U.S., and through the Crossroads Music label, have been nominated for Instrumental Album of the Year at the IBMA Awards program in 2007. In 2012, they have also been featured on several performances with Steve Martin ("Late Night with David Letterman").